Cataracts are a progressive problem that can cause vision problems or even blindness if left untreated. Los Gatos, California area residents do not have to live with cataracts, however. 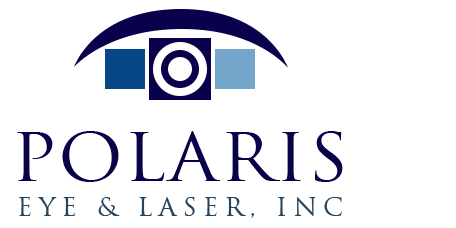 Dr. Jeehee Kim at Polaris Eye & Laser can perform cataract surgery for clear sight again. As people age, chemical changes within the eye lens cause cloudiness that gradually decrease the transparency of the lens. At some point, the lens may become so cloudy that vision is obstructed. Untreated, cataracts can completely obscure vision. Every year, 3.6 million patients have cataract surgery, and more than 98% of those people enjoy successful results. Aging is the most common reason that people develop cataracts. System disease, particularly diabetes, can accelerate cataract formation. Medications like steroids may also stimulate cataracts to develop, particularly with prolonged use. Although not common, children can be born with cataracts. The most obvious symptom of cataracts is a gradual decrease in vision. Other common symptoms associated with cataracts include blurred vision, glare at night driving, frequent changes in eyeglass or contact lens prescription, a decrease in the ability to see vibrant colors, a yellowish hue when looking at photos or other images, and occasionally double vision. Patients receive topical anesthesia with intravenous sedation for the cataract surgery. No injections are made around the eye, which helps reduce risk and avoids bleeding. The entire surgery takes 20 minutes to half an hour on average, and most people do not remember it afterward. Dr. Kim uses a surgical technique called phacoemulsification. In this type of surgery, ultrasound energy waves break up the cataract. Phacoemulsification requires only a 2.4mm incision, less than half the width of a standard pencil. The cataract is replaced with an implant lens powered to yield the clearest vision, selected by Dr. Kim based on individual eye measurements. In most cases, there are no sutures needed during this type of cataract removal surgery. The eye is shielded for safety after the surgery. 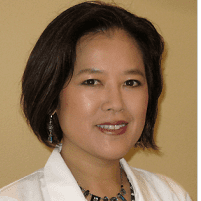 Patients will use antibiotic, anti-inflammatory, and steroid eye drops after the surgery, and Dr. Kim will monitor healing at post-operative visits. What is a Multifocal Intraocular Lens (IOL)? While a standard IOL is calibrated for distance vision, a multifocal IOL supports clear vision at near through far distances, reducing the need for reading glasses or bifocals in most cases. With advancement in technology, multifocal IOLs such as TECNIS or ReSTOR lenses may be the right choice for you.